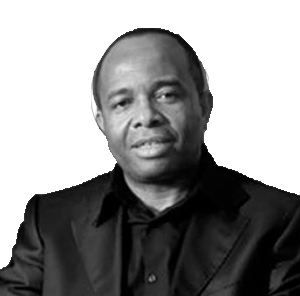 Dr Innocent Okpanum is an architect, researcher, urban designer, healthcare design specialist and the managing director and owner of the architectural firm, Ngonyama Okpanum & Associates; which has offices in eight cities in South Africa and in Abuja, Nigeria. He studied in Genoa, Italy where he obtained a doctorate degree in architecture. Dr Okpanum holds a PhD in architecture from the University of Newcastle in the United Kingdom. He is a member of the architectural institutes of Italy and South Africa. Innocent has undertaken numerous studies and researches in healthcare design with a particular emphasis on hospital emergency departments and the development of design guidelines and design quality standards for healthcare facilities. Dr Okpanum has gained extensive professional experience spanning over 27 years of practice in Europe and Africa; and has designed a wide range of hospitals and related healthcare facilities in Italy, South Africa and Nigeria. Dr Okpanum’s board portfolio will focus on developing salutogenesis design guidance, and certification and accreditation tools to used by IADH. 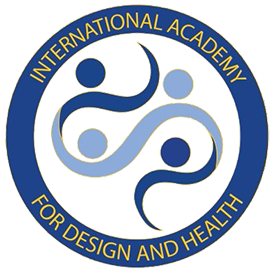 These tools should be used by IADH for accreditation of healthcare facilities that complies with salutogenesis design principles. “Information obtained by me through research and experiences from this industry have shown that continuous complaints from project sponsors, clients and users on the quality of the project development processes adopted by the project team depends on the: quality of the information used by all stakeholders involved. “My main motivation to be a member of the IADH board is to make a compelling case based on research evidence in most literature reviewed and in practice that the quality of the information used for project implementation can influence positively the project outcome. Indeed, comparative data on the quality of built environment has shown that the quality of lifestyle can be influenced by the quality of the built environment. “Therefore, it is important that Salutogenesis Design Theoretical Framework (SDTF) and Design Guidance (DG) be developed and recommended for the design of all artefacts used by humans. Indeed, salutogenesis design principles should be applied all fields. Salutogenesis is about caring for oneself, others and the environment which will in turn positively or negatively affect attitude, behavior and the quality of our lifestyles. “Without a doubt, in today’s construction industry both in the developing and developed part of the world it is usually very rare to encounter project sponsors, clients and users that are not calling for developing new approach to project development and implementation processes. “Undoubtedly, the construction industry has undergone vast changes over the past years and the emphasis now on green or sustainable buildings and environment calls for new approach on how DG should be developed for designing the urban environment of our cities and buildings. Therefore, DG – in addition to prescribing information for space provision, space narrative and square metre costs – should also include information on how to design spaces and places and how they will be implemented based on sustainable built environment imperatives. “The new DG based on SDTF should also provide important information for the space design and provision, functional relationships and spatial adjacencies. Obviously, the new DG discussed should focus primarily on healthcare facilities and health cities development initiatives. However, the information provided can also be used for designing other buildings that will encourage the efficient and effective use of resources available for the future of the planet.